Mick's fin in Neo Carbon material delivers an injection of power and speed through turns due to the ‘whipping effect’ through the tip of the fin. Ideal for fast, energetic surfing in softer conditions. This fin provides maximum drive. Neo Carbon fins are precision moulded using long strand carbon and the highest-grade European resin. 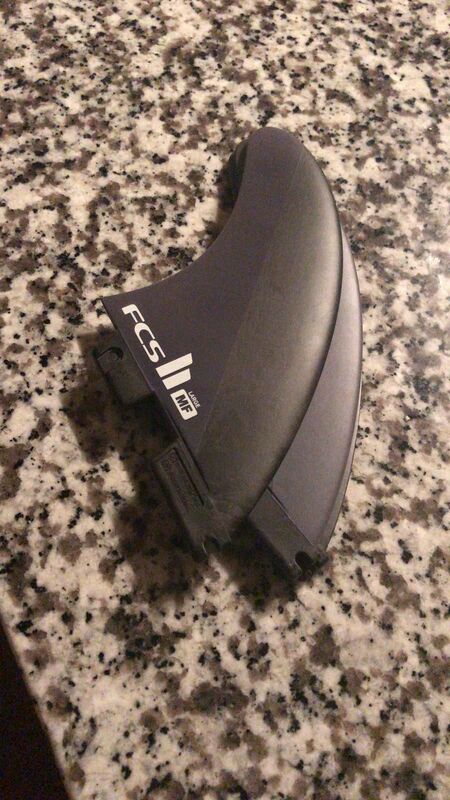 These fins are super light with a firm ‘spring loaded’ flex. Neo Carbon fins actually help surfers generate speed in smaller conditions via the ‘whipping effect’ that propels you from one turn into the next. Just got this as my large to go fin and works great at my local spot! Great for powerful open face waves!